Heat is very bad for electronics. Laptops are particularly prone to get hot after extended use. Older laptops get hot even faster. A cooling pad will not only extend the life of the laptop by allowing it to run cooler, but they also provide better comfort when using a laptop. 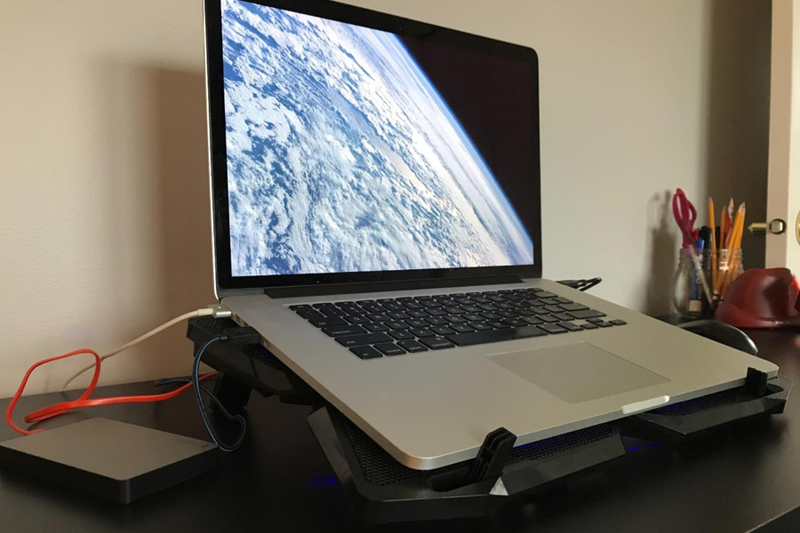 It provides better air circulation and the ones with fans provide additional support to the laptops built in fan. Laptop cooling pads are important to the longevity of the laptop. Protect your electronic devices with one of the following cooling pads. They are made by top brand companies that provide products that will last and provide the quality needed to keep your laptop running cool. 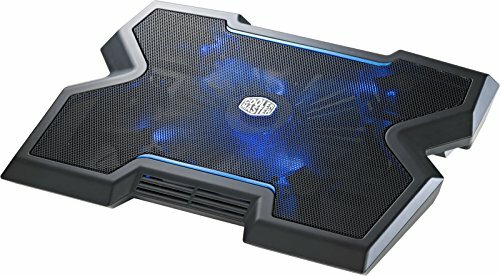 The Cooler-Master-NotePal-Cooling-R9-NBC-NPX3-GP comes with a 200mm blue LED fan to keep your laptop running cooler and dissipates heat from extended use. The mesh surface and fan provide a chill mat that will accommodate laptops, Ultrabook and netbooks. The unit supports devices that are 15 to 17 inches. The Cool Master Notepal has a high performance fan that helps to keep the laptop cooler by reducing the heat that comes for extended use of your laptop. The Cooler-Master-NotePal-Cooling-R9-NBC-NPX3-GP has a heavy duty profile that provides a strong foundation for your laptop. There is a front vent that provides a cool breeze and keeps the laptop cooler as well as your hands cool and dry. There are also two different height settings that can be used to provide comfortable positioning. The Thermaltake Massive23 LX Laptop Notebook Cooler has an oversized 230mm fan that is ultra-quiet. The blue LED light removes heat from the notebook easily and efficiently providing cooler operation when using a laptop for an extended period of time. Both the fan and the LED light have an on/off switch so you can decide which elements you want to use based on your usage and situation. The fan uses minimum power so you will not see a significant battery drain even when the laptop is not plugged in. The Thermaltake Massive23 LX Laptop Notebook Cooler comes with handles that allow for the unit to be carried and provides an easy transport option. There is also a hidden storage compartment that provides storage for the USB connector cable and other small accessories. 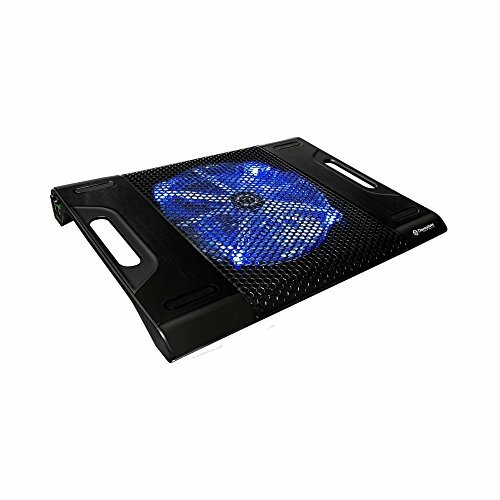 The Cooler-Master-NotePal-Ultra-Slim-R9-NBC-XSLI-GP cooling pad runs almost silently with a 160mm fan. It is built to fit laptops from 7 inches to 17 inches providing a cooling pad for tablets, eReaders, netbooks and full size laptop computers. 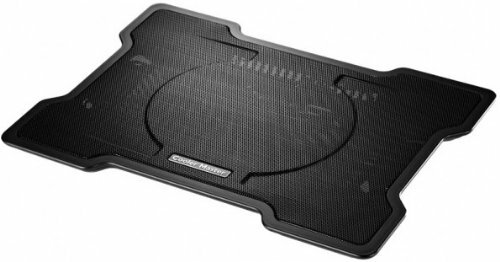 This lightweight X-slim design cooling pad is made to attach to the laptop easily. It is easy to carry and easy to store. The Cooler master comes with two height settings for ergonomic operation. The fully meshed surface plus a silent fan provides excellent cooling performance and extends the life of the laptop. The Cooler-Master-NotePal-Ultra-Slim-R9-NBC-XSLI-GP comes with a USB connector to connect to the laptop and run the fan. This maintains a cool laptop even after extended use. The cooling pad can be used passively to increase airflow or you can use the fan to reduce the temperature around 10 degrees. The interior unit has cord grooves for easy management of the USB cord.